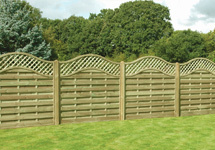 We provide a complete, turnkey fencing service from initial quotation through to project completion. 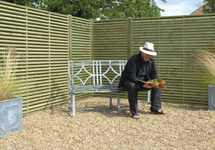 Purchase a wide selection of fencing products and supplies, ideal for tradesmen and members of the public. Contact our team of fencing contractors today and arrange your free, no obligation quote. Welcome to Sumners Fencing Services Ltd, specialists in all aspects of residential, commercial and industrial fencing solutions. 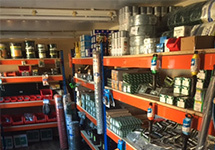 Operating from a fully equipped workshop in Loughborough, we are ideally positioned to supply fencing products and services throughout Leicestershire, the East Midlands and the rest of the UK. Trading for many years, we can supply and erect a variety of fencing types including industrial fencing, security fencing, equestrian fencing and agricultural fencing amongst many others. 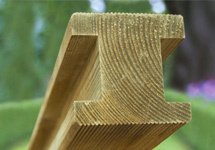 Fully accredited with CSCS certification, our fencing contractors manufacture, supply and install fencing products that are incredibly durable and highly weather resilient. As an independent fencing contractor in Leicester, we recognise the importance of providing an excellent service to all customers (residential, commercial and industrial). Whether you require a small number of replacement garden fence panels or would like to erect a large perimeter fence around a school, industrial unit or commercial retail outlet, the team at Sumners Fencing Services Ltd will meet your needs with confidence. All of our fencing installations and on-site repairs are completed to the strictest of standards whilst adhering to all applicable Health & Safety legislative requirements.